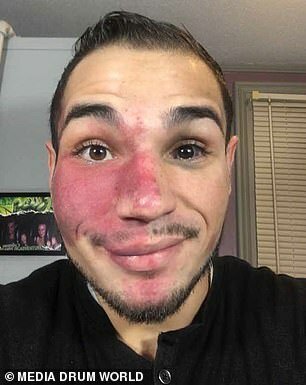 A Connecticut father-of-one says his unusual birthmark has led to police being called on him and strangers asking him if he’s contagious. 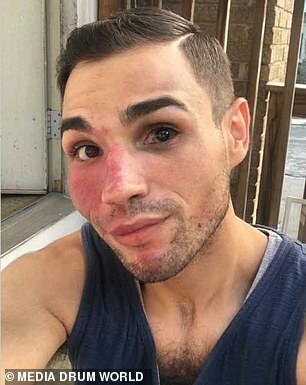 Eric Pixley, 29, was born with a large red birthmark – known as a port wine stain – that covers about half of his face. He said, when he was younger, he would hide his face at school due to his classmates’ stares and that, one time, a passer-by called 911 after assuming he was covered in blood. 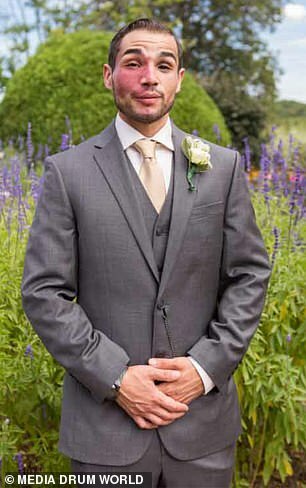 However, Pixley says he’s now embraced his unique feature and that he wants to encourage others to ask questions about his birthmark rather than stare and make assumptions. Port-wine stains earned their moniker because the birthmark looks like wine was spilled on the skin. Most port-wine stains appear on the face, but they also can be found on the arms, legs and torso. It usually starts out a light pink color but turns to a red or purple color as the child gets older. Port wine stains occur when small blood vessels called capillaries become overly dilated and turn the skin a reddish color. According to a 1976 study in Pediatrics, the birthmark is found in about three in 1,000 births. 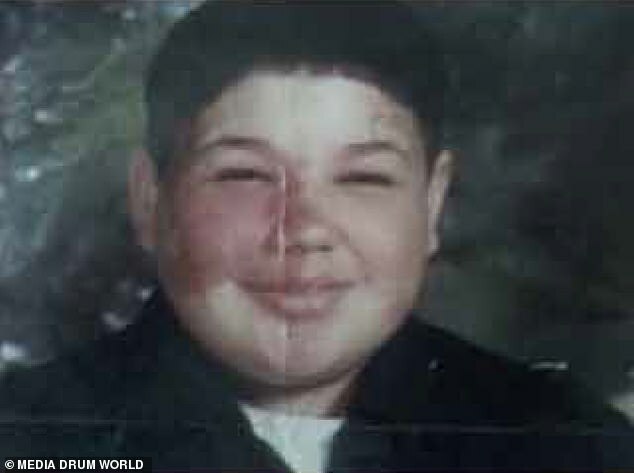 Pixley says, when he was growing up, he couldn’t understand why he had his birthmark and the stares he would get at school made him keep his head down. ‘When I was in school, I always kept my head down as if I was ashamed, although I never once tried to cover up my birthmark because it’s a part of me,’ he said. Pixley says the stares have continued into adulthood and that strangers come up to him and ask him about in on a regular basis. ‘People comment on my birthmark often…but I think the worst comment would be when people have asked me: “Is that contagious?”‘ Pixley said. The father-of-one said he was once reported to the police after a passer-by thought his face was covered in blood. 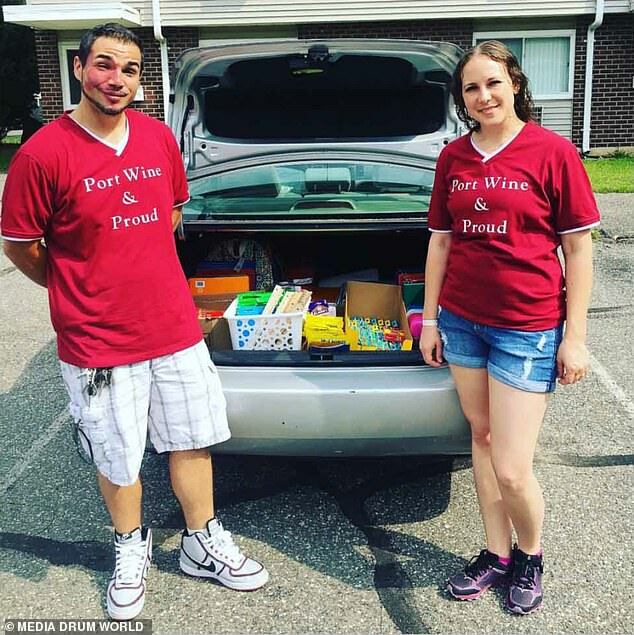 ‘There was one time, a couple of years ago, when I was simply walking down the road with a friend and, out of nowhere, a police officer pulled us over and asked whether we needed any medical attention,’ Pixley said. Pixley says that his birthmark was a big talking point when he was dating, but that his wife, Amanda, doesn’t see it as a difference. ‘When I met my wife, she embraced it,’ he said. 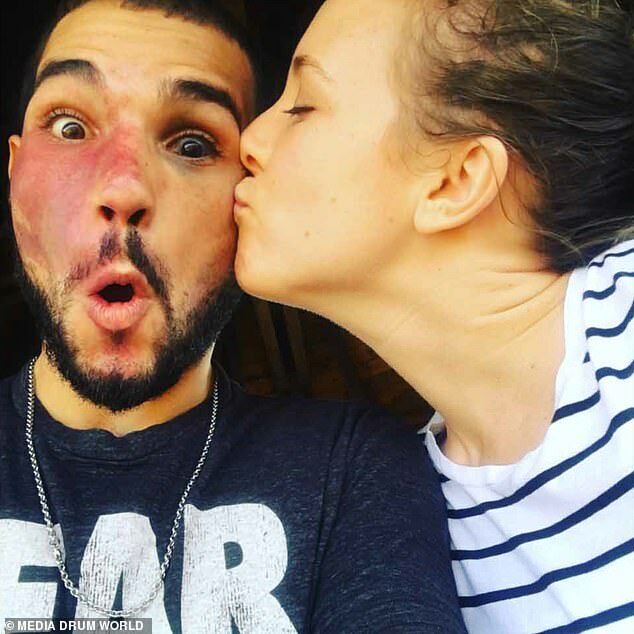 ‘She is a very understanding person and she supports the birthmark community happily. Now, after being together for five years, she says that she doesn’t even see it when she looks at me. 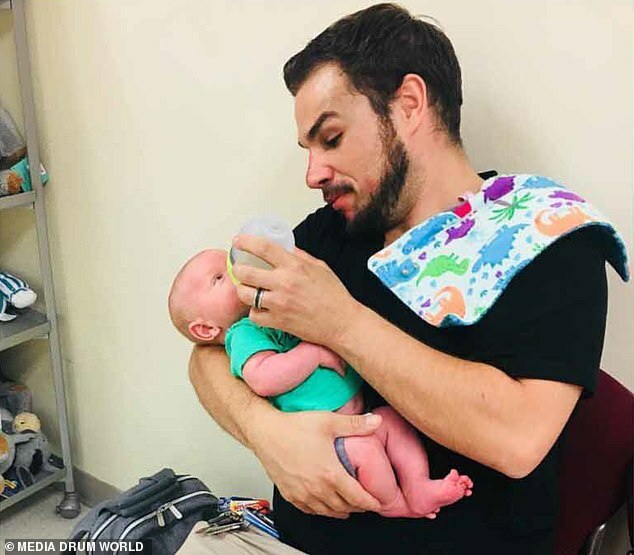 He admits that he is worried about explaining it to his son Roman, 10 months, when he becomes old enough to notice it, but says he’s happy speaking about it openly to others. Pixley even started an Instagram page @portwineproud to encourage people to stop staring at people’s birthmarks and ask them about them instead. 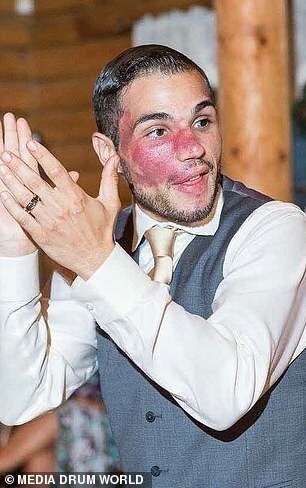 ‘Accepting and loving my birthmark has helped me reach out to a community who have swiftly become like family to me, who, when I was growing up, I didn’t think existed,’ he said.